OUTsider, a transmedia LGBTQ+ festival, celebrates the bold originality and creative nonconformity of the LGBTQ+ communities through the presentation of provocative, overlooked and out-of-the-box film, dance, theater, performance art, music, writing and visual art. HavenCon focuses on the LGBTQIA+ geek and gamer communities coming together annually in Austin TX to support each other and the industries we love! Austin PRIDE presents its annual Stonewall Rally on the steps of the Texas State Capitol Building. Photo courtesy Chase Martin/therepubliq. Chase is the Founder and Creative Director of therepubliq.com, Host and Executive Producer of OutCast Austin, an award-winning LGBT weekly radio program on KOOP 91.7 FM in Austin. In 2011, he was named the Critics Pick for 'Most Gaybiquitous' in the Austin Chronicle's Best of Austin. In 2012, CultureMap Austin named him one of Austin's Top LGBT bloggers and he received the AGLCC's Chamber Award for Social Media Diva. One of the most asked questions of therepubliq by visitors: Where are the lesbian bars? Unfortunately, since Lipstick24 closed back in March 2013, Austin has been without a dedicated lesbian bar. This isn’t a new problem. Lesbian bars here in Austin just don’t seems to last very long. Fortunately, there are several groups and promoters in Austin who are filling the gap, creating events curated specifically for queer women. I started this list several years ago, in response to travelers coming to Austin who messaged therepubliq wanting to know where the ladies when went to party. I’ve kept it updated over the years, because, like everything else in Austin, things change. This shouldn’t be considered a comprehensive guide to lesbian Austin, by any means; but, it’s a start and it’s been helpful to several people in planning their travels to Austin. If you have anything you’d like to contribute to the guide (tips, resources, promoters, events), email me at chase@therepubliq.com and I’ll include it in the next round of edits. BookWoman has been an Austin institution since it started out as a collective in an upstairs space down on The Drag back in 1975. Today, it sits in its current location on North Lamar, one of the few remaining feminist bookstores in the country. Not just limited to books, you can find plenty of gift ideas at BookWoman, including jewelry, t-shirts, totes, knick-knacks and more. Plus, they host events year-round — readings, book clubs, live music and more. Austin Lesbian Coffee House is a MeetUp group for women (transgender women included) who identify as lesbians. It is also one of the few MeetUp groups in Austin that still relatively active. If you’re up for board games, the Facebook Group Austin Lesbian Game Night hosts a monthly game night, typically the last Saturday of the month, at Emerald Tavern Games and Cafe in North Austin, near Research Blvd (Hwy 183) and Burnet. Lesbians Who Tech is a global community of queer women in or around tech and the people who love them. The Austin chapter hosts networking events throughout the year. Relatively new to Austin, SpeedAustin GayDate is part of a 50-city global network of speed dating events. They host a semi-monthly lesbian speed dating event at Academia, down on 4th Street. Faye Fearless hosts several events, covering a wide range of subjects, throughout the year; but two are dedicated to queer self identified women & non-binary folks in Austin. First is the annual Lez Prom, typically held in February, around Valentine’s Day. Second is Nautickle, a “Naughty Lesbian Boat Party” that is open to queer identified, women loving folks. Faye also hosts a queer version of Nautickle that is open to all queer folks. Kelly Frances West and Michelle Solorzano Daly aka Mitch, respectively Lesbutante & the Boss, host several events curated for gay womxn. The events are trans-inclusive and all LGBTQIA+ and allies are welcome at the events. Currently, they host a monthly ladies night down on 4th Street at Sellers Underground on the second Friday of each month starting at 9 PM. They also hosts several events throughout the year, including the official women’s party during Austin PRIDE in August as well as events during South By Southwest (SXSW) in March. QueerGirl, a nationwide events company that hosts high-energy parties that “embody the style and feel of the next generation of queer women,” recently launched in Austin with Andrea Hinojosa heading up operations in the Texas region. Led by Sarah Marloff from the Austin Chronicle‘s Qmmunity (formerly The Gay Place), Where The Girls Go/ATX creates “new queer (grrrl) dance parties & trans-positive, all-gender-inclusive, anti-isms/ists, pro-makeout spaces”. In August 2015, the Austin outpost of the monthly Guerrilla Queer Bar led by local founder Richard MacKinnon, held it’s final ‘invasion’ — #179. Since then, Where The Girls Go/ATX has hosted several events under the “Guerrilla Queer Bar” banner, albeit intermittently..
Have you been out for a late night … you know … when you tell yourself, “one more drink” and the next thing you know, you hear them calling last call? Or maybe you catch a show at Bass or the Paramount and after the third curtain you come out to realize it’s been four hours. Or, my favorite, when your musician friend tells you to come check out his band and you find out they don’t go on for another two hours. Chances are at some point you will want to get something to eat. But what if you’re not in the mood for IHOP and ***gasp*** don’t want to wait in the drive-thru line for Whataburger? Luckily, Austin has enough late night dining options so you can avoid the Rooty Tooty Fresh ‘N Fruity or decide between the fries and onion rings with your burger (but if you have to, always go with the rings). Located next door to Waterloo Records at the corner of 6th Street and Lamar, this mid-century mod design hotspot is on homage to the classic diners of the ’50s with a uniquely Austin flavor. Serving chef-inspired farm-to-table, comfort food with seasonal organic produce. Breakfast served all day. Gluten-free menu available. Open until 2 AM every day, except Sunday when it closes at 11:30 PM. 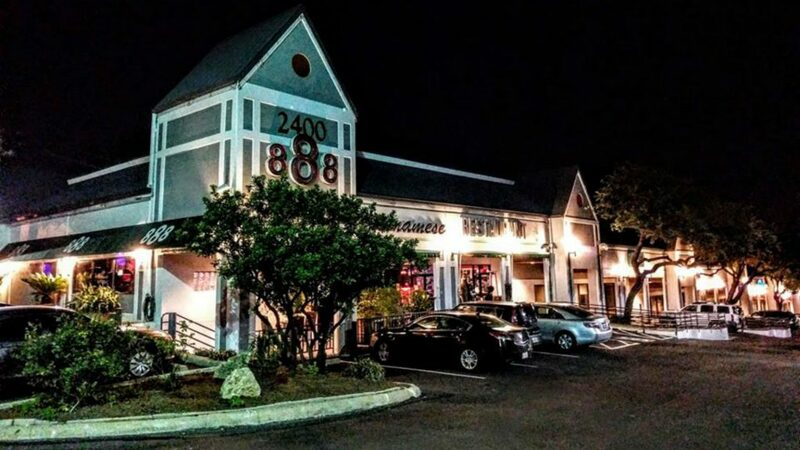 Located in the Willow Creek shopping center, off Oltorf, 888 Pan Asian has, as its name implies, a bit of many things Asian — Thai, Vietnamese and Chinese. It’s located in a strip mall, so don’t expect a high-class dining experience. There’s an extensive menu, it’s relatively cheap, and it’s your best, if not only, option if you’re craving a bowl of phở after 10 PM. Vegetarian options available. Open until 2 AM Fridays and Saturdays. 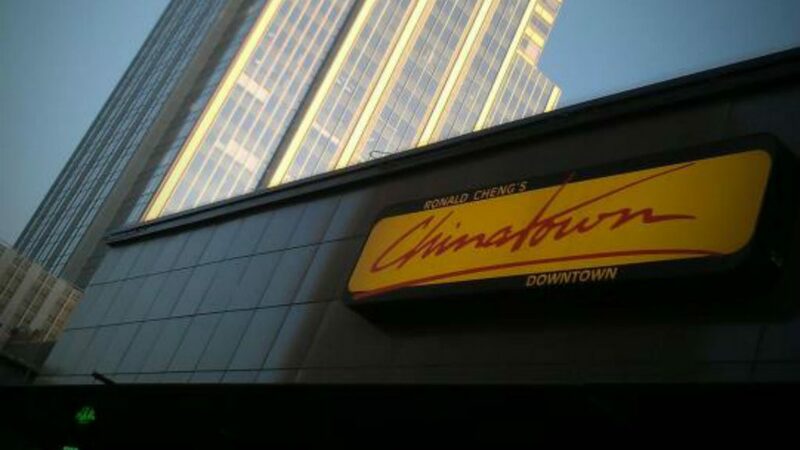 Chinatown’s downtown location is a staple of late night dining in Austin … especially being just a block from 4th Street. Food and service can be hit or miss, depending on your experience and expectations, but as long as you can tolerate karaoke with your meal, Chinatown can help you with your late night Chinese fix. Frank on Colorado Street, in the heart of the Warehouse District. 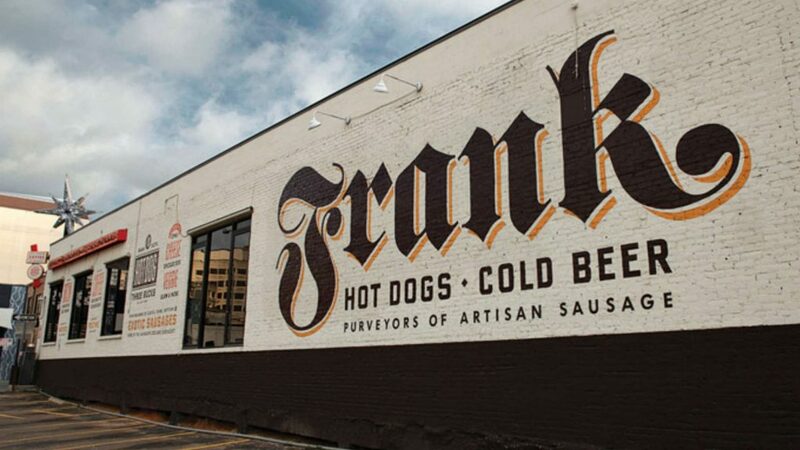 Located in the heart of the Warehouse District, Frank has an offering of hot dogs and artisan sausages that will satisfy just about any carnivorous craving … and enough of a gluten-free and vegan offering that you can bring that non-meat eater along. Be sure to try the new specials each week. Gluten-free and vegan menu available. Open 24 hours daily. 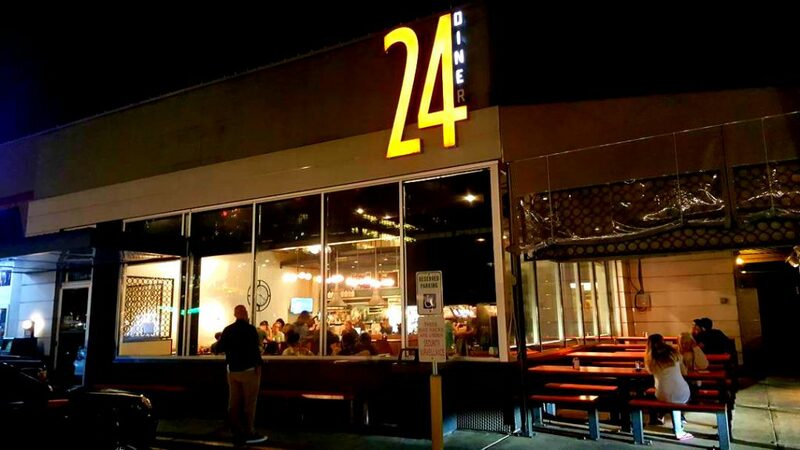 Note: Original & Westlake locations are not open 24 hours. 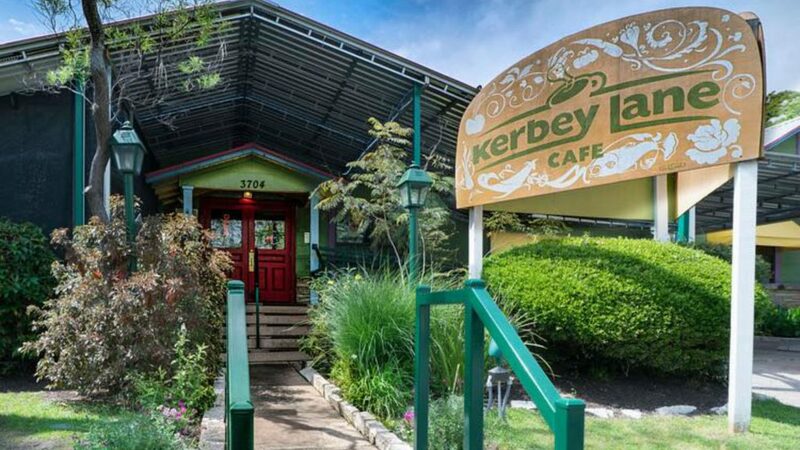 While the original location on the eponymous street, along with the location in Westlake, are not open 24 hours, there are four other Kerbey Lane locations in Austin to choose from if you want to get your fix for Kerbey queso. 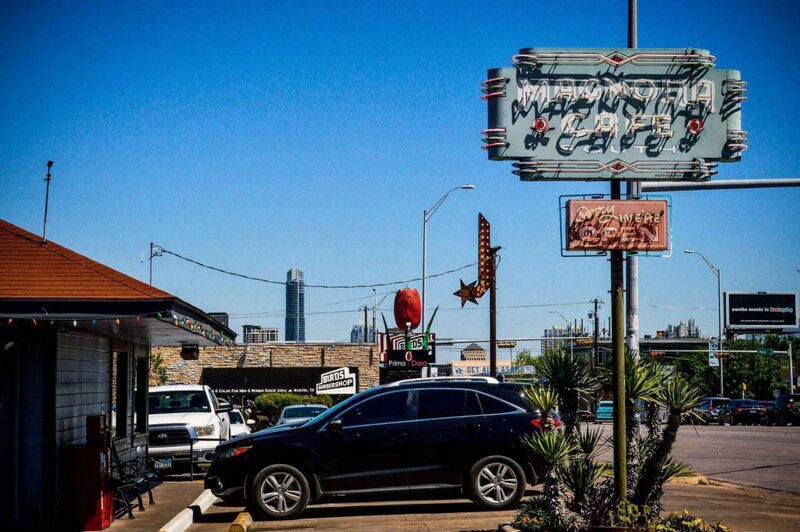 For those not familiar with Kerbey Lane, think old-school diner with an Austin flavor. Get your breakfast basics with the Kerbey Lane Combo — two eggs, two half size pancakes, fruit, bacon & all-natural sausage. Got a craving for comfort foods? Try the bacon-wrapped meatloaf or the Chicken fried steak. Breakfast served all day. Gluten-free and vegan menu available. Magnolia Cafe is an Austin institution. 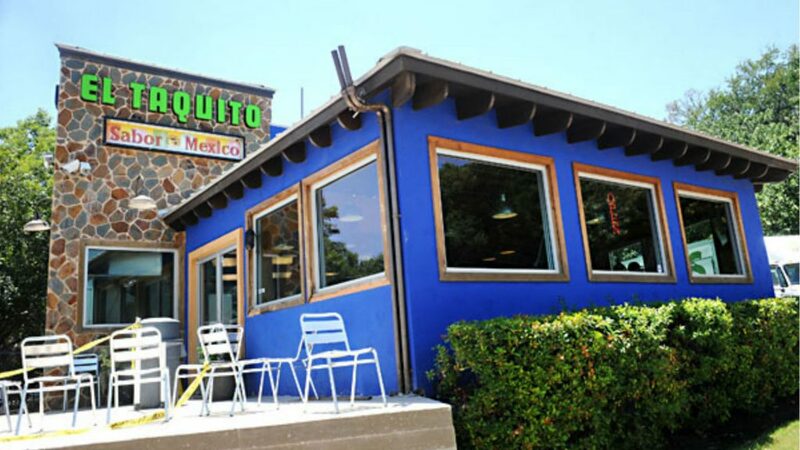 It started out as Omelettry West at its Lake Austin Blvd location back in 1979 and was rebranded Magnolia Cafe in 1987. 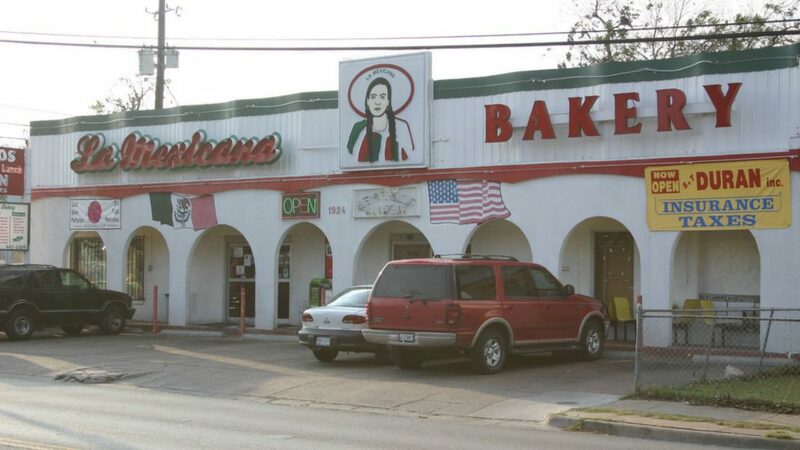 In 1988, it expanded to its location on South Congress Avenue. Both locations get really busy, especially after last call on the weekends as the bar crowd begins the mass exodus from downtown. Just put your name on the list and wait. Serving sizes are larger than most and the pancakes are HUGE, so order accordingly. Breakfast served all day. Gluten-free and vegan menu available. This unassuming spot off South First Street features a panaderia that serves up breakfast tacos — all day, all night long. Grab a few to go or order from the menu and take a seat if you’re looking for a heartier meal — huevos rancheros or migas. After your meal, grab a few pastries from the case for the next morning … or maybe just later that night. 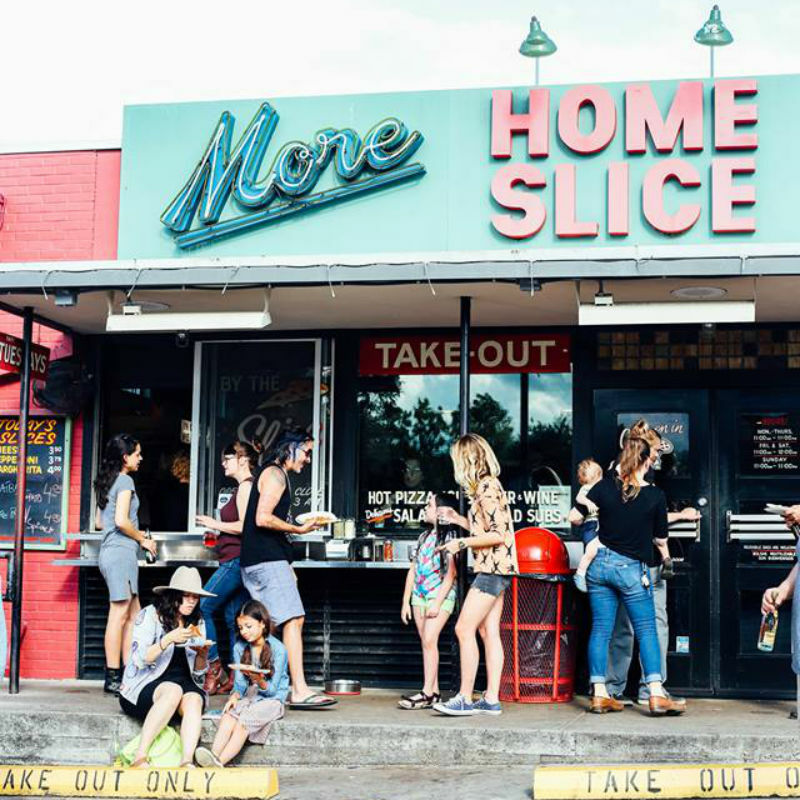 If you’re craving pizza after a night out, head down to SOCO, aka South Congress, for Home Slice’s take-out place, More Home Slice. Located in the building next door to their dine-in location (next to Stag), you can grab a slice of pizza until 3 AM on the weekends. There is a limited selection … usually cheese, pepperoni, Margherita and two specialty pizzas … but these are their best sellers and after one bite, you’ll understand why. 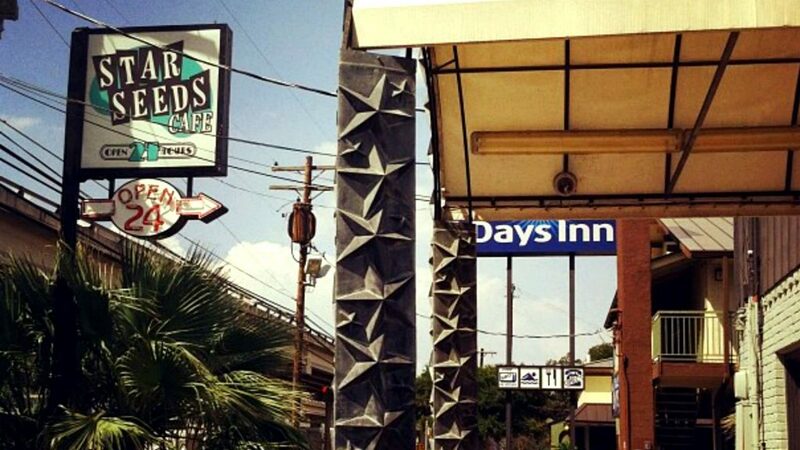 While the infamous list of things you shouldn’t do is gone, Star Seeds Cafe, albeit a few changes in management and a remodel later, is still around as vague reminder of the Austin of times long gone. A favorite hot spot for locals and visitors in the know, Star Seeds can be a bit intimidating, especially at night … given its location in the shadow of the I-35 upper deck. Don’t expect anything fancy, but it’s a solid option when you’re craving a chicken fried steak or cheese burger at 4 AM. Late night, you’ll most likely run in to service industry folks coming off their shifts downtown and students with its proximity to the UT campus. Austinites love their tacos and El Taquito is one reason why. Located off East Riverside, this place is open late … like really late … 2-3 AM during the weekdays and til 4 AM on weekends. So after you’re done downtown, head on over to Riverside Drive. It can be hard to find at night, especially if you’re not familiar with the area. Coming from I-35, turn right on to Old East Riverside Drive across from Baby Acapulco’s, just past the intersection for Lakeshore Drive. Saturday nights get pretty busy after last call, so expect a wait, but it will be worth satisfying that taco craving. What do you do if it’s 1 AM and you’re craving Indian food? 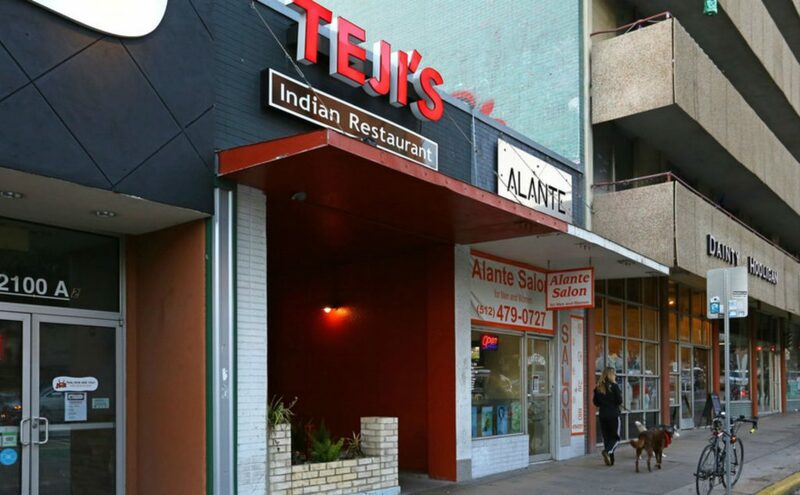 Head down to campus and the Austin location of Teji’s. Located on the south end of The Drag, it fills in the Indian niche in the cluster of Asian restaurants between MLK and 21st Street. And given it’s location across from the University of Texas campus, most customers tend to be students. Prices are very reasonable given the large portions. Give yourself more time if you order anything from the tandoor, especially if it’s busy. Vegetarian options available. Recommended: naan (any/all of them), chicken tikka masala (especially if you’re new to Indian food or don’t like spicy food), tandoori chicken, chicken biryani. 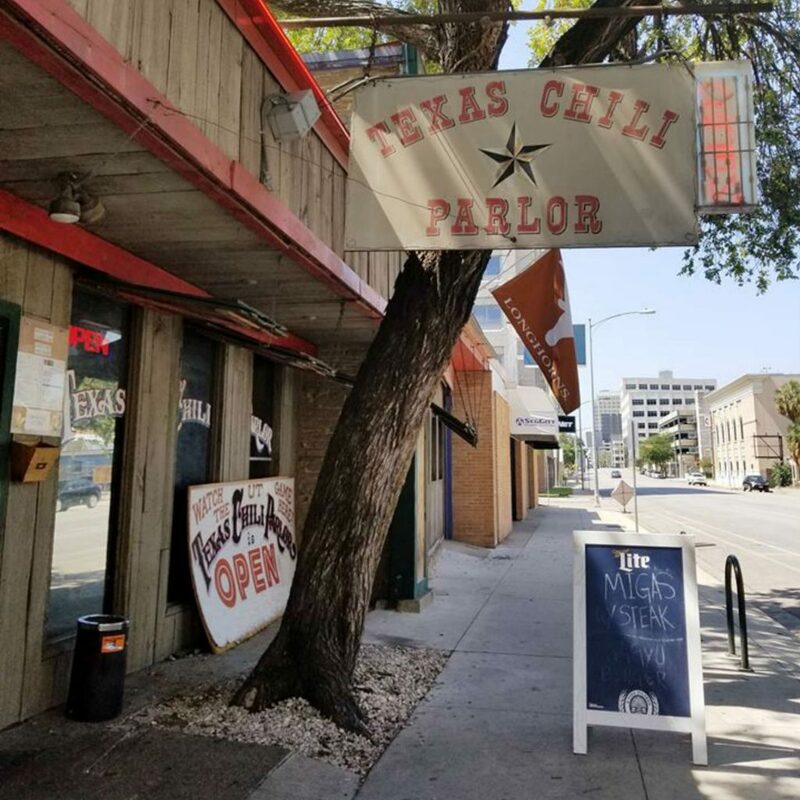 Located just a couple blocks away from the capitol building, the Texas Chili Parlor has been serving Austin since 1976. And there’s a reason why it’s endured for so long. During the day, it can get pretty busy, as it fills up with state workers from the Capitol Complex, and even more so when the legislature is in session. While it’s pretty much your only late-night option in the area … service can be hit-or-miss … their chili is pretty spot on. While most of the LGBTQ bars and clubs in Austin are best known for their dance nights on Friday and Saturdays; these hotspots are open throughout the week … and in most cases … every day of the week. It’s during these mid-week nights that you discover the trinity of Austin’s weekday bar scene — drag, poker and KARAOKE! 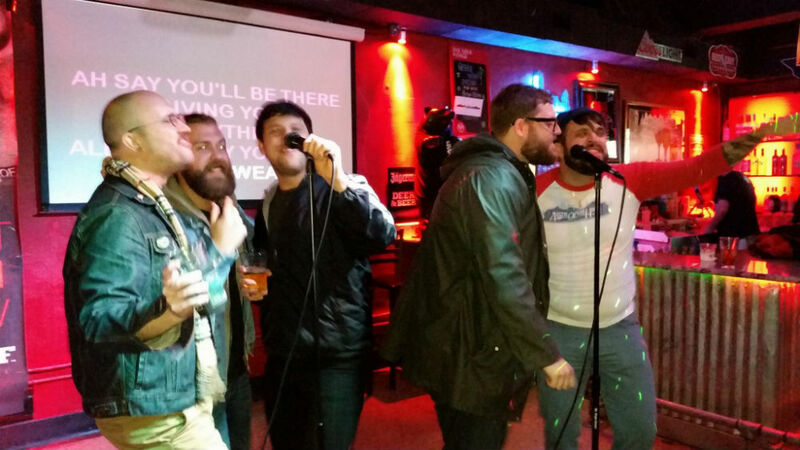 While karaoke in the LGBTQ scene has been around forever and every gay bar has hosted a karaoke night at one point or another, the current lineup of karaoke nights and hosts seemed to have found their respective niches within the community. 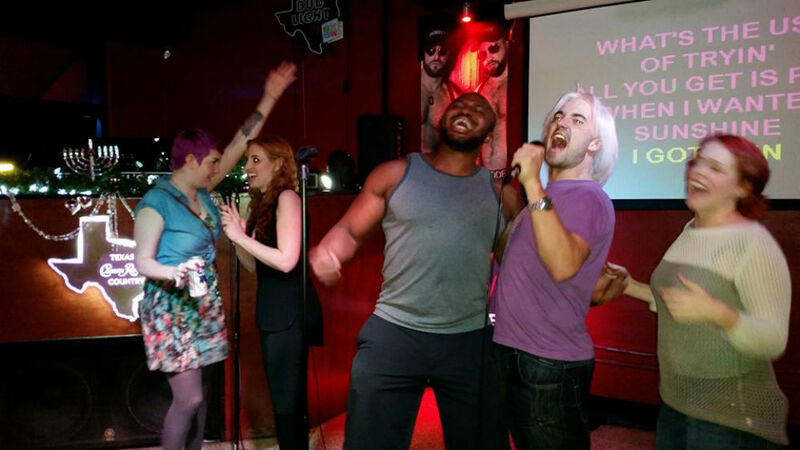 Karaoke in Austin has a loyal corps of followers, so chances are you’ll see familiar faces and hear some familiar voices when you hit up one of these karaoke nights. 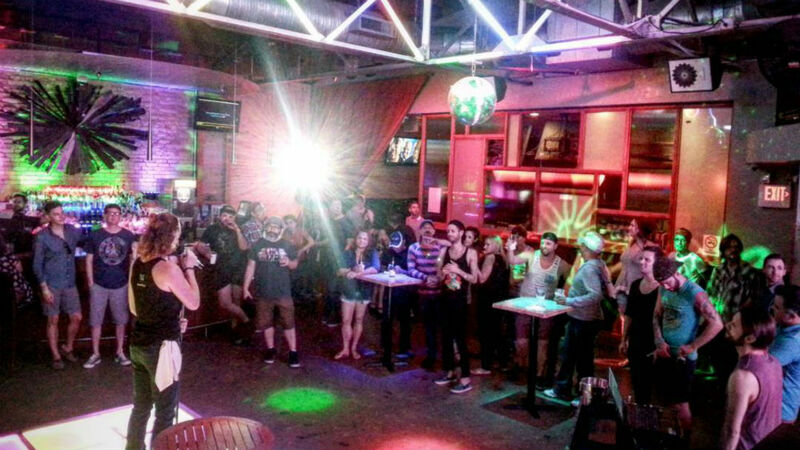 Currently, four of Austin’s LGBTQ bars host a karaoke night — Highland, The Iron Bear, Rain on 4th and Sellers Underground. All four are located downtown, in or around the Warehouse District. If you don’t go out often or are visiting Austin, don’t be disappointed that there is no one out when you show up at the start of karaoke night. Austin is a late night town, so things usually pick up until a couple hours in. Be patient. Highland Lounge in the Warehouse District kicks off Sunday Funday karaoke, right after their weekly Texas Hold’em tournament, every Sunday night from 9 PM til close. Hosted by Diamond Karaoke, this is the first of two LGBTQ karaoke spots on Sunday nights. Diamond Karaoke offers up “68,500 different songs, from pop to country to standards to musicals and much more” to choose from. You can also browse and requests songs through the SongbookDB app (for Android users only). There is also a mobile-friendly web version if you’re an iPhone user or just don’t want to download the app.